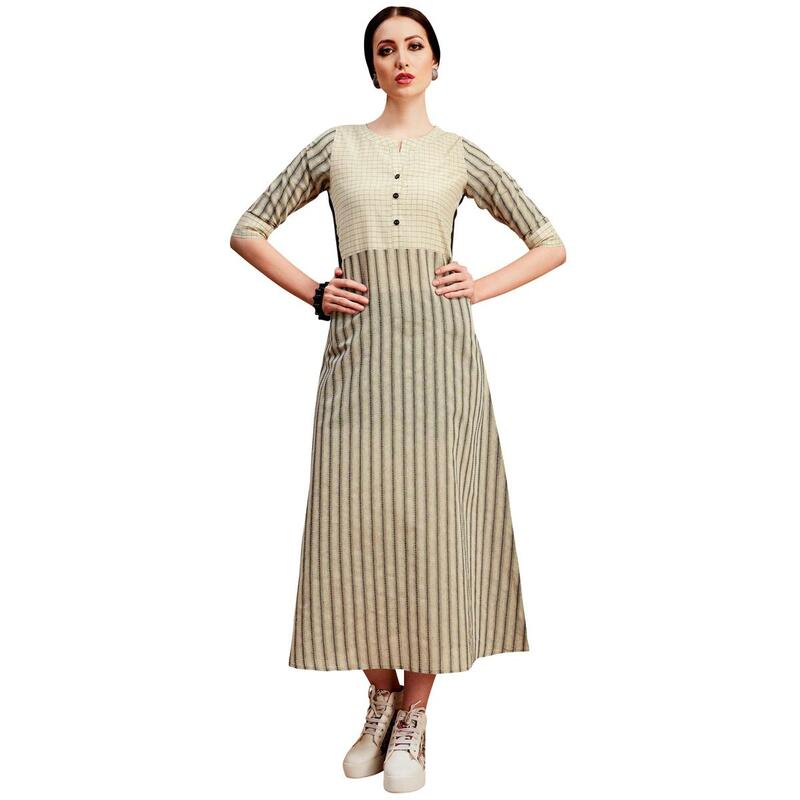 Style and design and trend would be at the peak of your attractiveness after you attire this stylish beige colored long kurti. This ready to wear kurti is made of cotton fabric which is lightweight and assures the wearer a perfect fit & comfort. This kurti is perfect to pick for office wear, weekend get-together, parties and events. Pair it up with shoes or heels & stylish accessories to create contrasting effect. This attractive kurti will surely fetch you compliments for your rich sense of style.